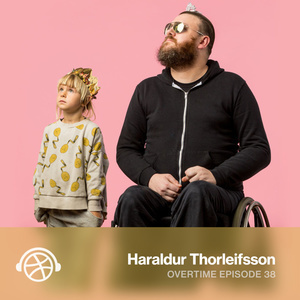 Our guest on episode 38 is Haraldur Thorleifsson, founder and CEO of Ueno—a global design agency that works with incredible clients like Google, Fitbit, Dropbox, Slack, ESPN, and more. In this episode, Dan and Halli chat about the role Dribbble played in building his agency, the importance of having a portfolio and building relationships, the challenges of running a design agency, and why designers should be avoiding trends. They also explore how travel helped Halli shape the company Ueno is today. This episode is brought to you by Wix. Push the limits of design and start creating beautiful, impactful websites that are uniquely yours at wix.com/dribbble. You can find transcripts and more episodes at Dribbble.com/Overtime.